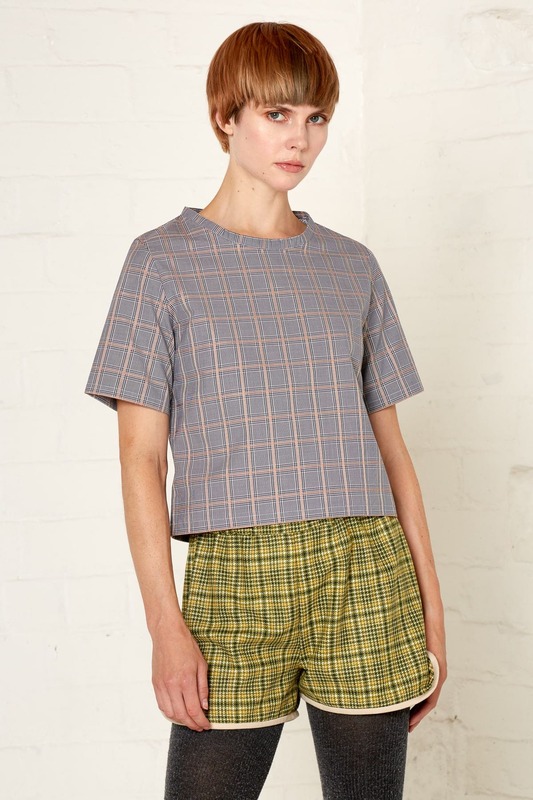 The Brigitte top has a gorgeous, sharp outline, from the shoulders and straight, mid-length sleeves right through to the hemline, and these shapes all show off the beautiful check of the roll end fabric. 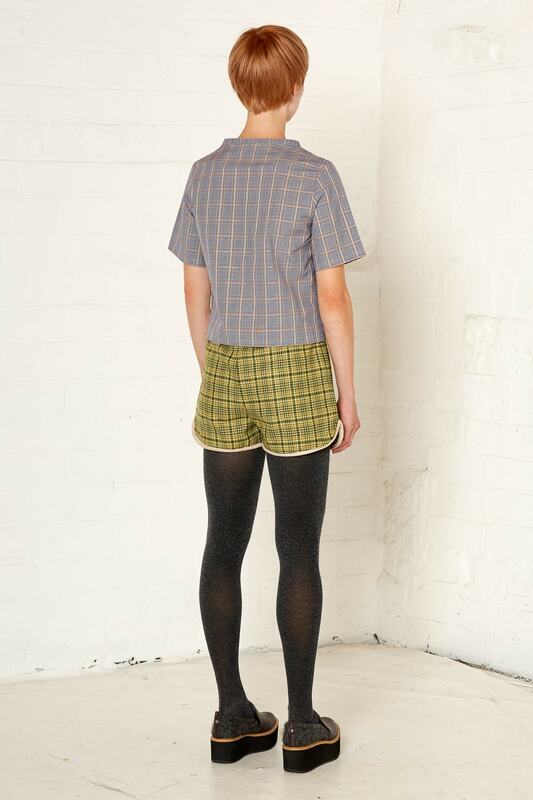 It is finished with a wide band collar that introduces some softness and creates a flattering neckline. 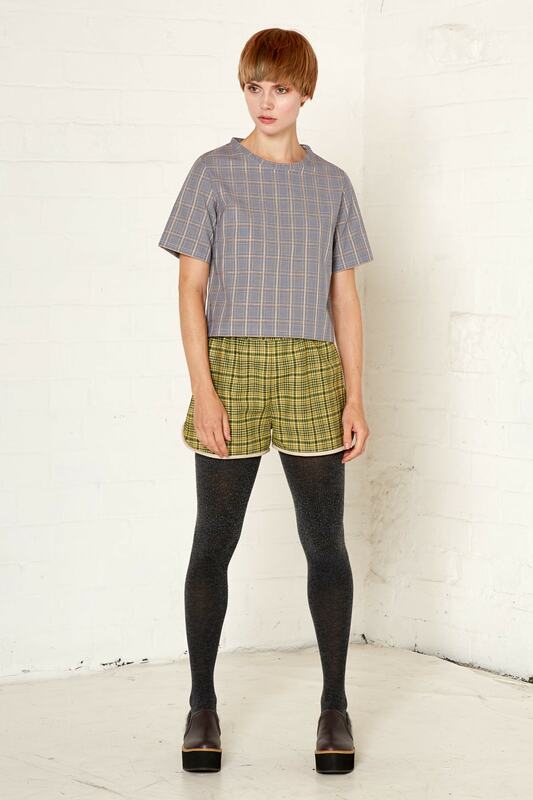 This top is available in two colours: a natural brown check that looks great layered over a pleated skirt of similar neutral tones, and a blue version which is perfect for dressier occasions. Production of both colours will be limited to 30 pieces.